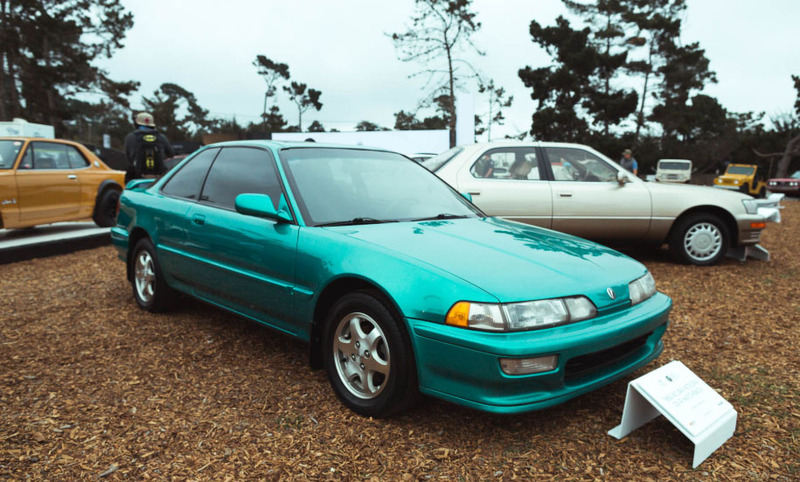 It’s now been three weeks since Pebble Beach was abuzz with the automotive extravaganza referred to as ‘Car Week.’ There continue to be a lot of great articles about it, including this one released just today by my friends Ben Hsu & Ryan Senensky of Japanese Nostalgic Car. If you ask Karen at Motor Trend about how this year’s inaugural Japanese Automotive Invitational (JAI) event came together, she’ll tell you, “It took an army.” The planning, logistics, and execution of a car show that brought 40+ cars from areas across the nation were daunting tasks that she spearheaded for the August 25-26 event. Luckily for Karen, she had plenty of help. Motor Trend partnered with Infiniti on making it all happen. And having proudly participated myself, my medallion now resides in a display case at my home (below). What started as an idea hatched by Motor Trend’s own Ed Loh evolved into a revolutionary event in a lot of regards. Never before had Japanese vehicles been given such a spotlight at Pebble Beach, and the media and public now agree: It was a success. Now in the same signature location at Pebble since 2014, Infiniti was looking to diversify and expand on its display, especially since the brand is coming up on a 30-year anniversary next year. Remember the Q45 flagship sedan? It’s three decades old! Naturally, it made sense to showcase Infiniti’s own heritage and spotlight a few noteworthy cars. Infiniti also decided to allow its competition into the arena by specifically showcasing models from Acura and Lexus on its own turf. The list of participating vehicles was curated internally and cars were sourced from throughout the country – coming from as far away as Florida, New Jersey, and Michigan. Some models proved tougher to locate than others. A first-generation Integra, for example, was on the original list but not readily available, so they went with my second-gen instead. 1992 Acura Integra GS-R Hatchback – Mine! 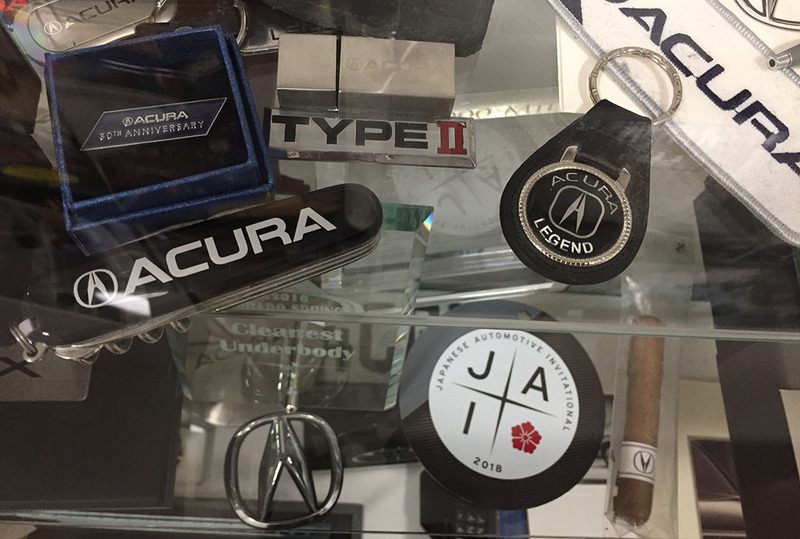 Some cars were sourced from owners themselves (a registration form on the JAI website was made available for anyone who wanted to submit his or her own vehicle), but many vehicles came from museums as well as the automakers themselves. Lists are fun, but you know what’s even ‘funner’? (I don’t care if that isn’t a word – I’m using it). Let’s extract some data from these. A quick pivot table reveals some interesting results. 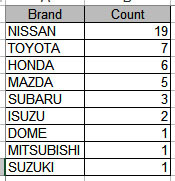 To nobody’s surprise, 19 out of the 45 cars – or 42% of the overall show field – were Nissan and Infiniti models. I can honestly say that prior to this exercise, I’d never heard of a Dome. Toyota, Honda, and Mazda had roughly the same level of representation, ranging from 11% to 15%. Now let’s take a peek at the years in question. It appears that the 1990s were the best represented with 15 cars (1/3 of the show field). The 1980s were surprisingly slim, and the 2000’s cars are arguably out of scope here because I don’t know if they yet qualify for a “classic” designation. Don’t make me feel older than I already do! I graduated from high school in 2000 (“Y2K,” better yet), so it’s a touchy subject. All of this will come into consideration when it comes time (now) to debrief, and then move forward right away for future year planning. For 2019, JAI will roll onward and become bigger and better as the show field evolves. I’m excited for the chance to work with Karen and others in any way that I can engage and assist. Thanks again for letting my humble 1992 GS-R play a small role in making it happen. This entry was posted on September 11, 2018 at 5:06 pm and is filed under California, Car Show. You can follow any responses to this entry through the RSS 2.0 feed. You can leave a response, or trackback from your own site. It was awesome to see your Integra get such a prominent place in the show! Kudos to Infiniti for deciding to share the love and open their event to other manufacturers. For next time, they need to get a first gen Prelude and a (ahem) second gen Accord into their display. The cars in those ads were gorgeous. There was definitely a moment of wanting that Legend, but it would be cruel and unusual punishment for that car to be brought to the northeast… it should definitely live out its days in a salt-free area! I know, a pretty amazing example it is! Coincidentally, the seller is going to be showing it at this Saturday’s Japanese Classic Car Show in Long Beach, and I’ll be there too. So I’ll get an up close and personal look at it! Pretty excited for that. I really like the idea behind the Japanese Automotive Invitational (JAI) event and hope it succeeds. It’s great seeing more venues popping up that celebrate vintage Japanese cars. We just need a local even of similar nature… and a half-dozen volunteers to transport all of my cars to attend it! If you Phoenicians ever come up with a Japanese classic event, count me in to visiting! Looks like a nice turnout in Cali. Amazing to think that 90s cars are now considered classics! I can’t even remember the last time i saw an early Q45. I knew a guy that had one in Vegas that was ridiculously expensive to maintain and that was 10+ years ago. I have a secret affinity for that Infiniti (see what I did there?). One day I think it would be sweet to have a Q45 and an LS400 to go along with my Legends. 2 Legends, a Q45, and a LS400. . . .